BronyCon 2015 is proud to present once again the My Little Pony: Friendship is Magic Cosplay Costume Contest! Show Off your talents in the “art-of-the-dress” and strut onto the catwalk for all to see—Contestants will compete against each other in front of our judges for the chance to win some fantastic prizes. If you are interested in participating in the contest, please come to pre-judging at the following times on Saturday in Harmony Plaza. Pre-Judging times are separated by Category—please be sure to show up during the right time slot. This will be a first come- first served basis. If you or any of your group members are NOT present at pre-judging, you will NOT be able to enter the contest! Please read the following guidelines and regulations so that on the day of the contest, you will be prepared and understand the contest procedures. If you are part of a group, the entire group must be present together at pre-judging in order to register. The maximum amount of people per group is 7. Should any of your partner(s) be missing during the pre-judging/registration period, you and your group will be unable to go on stage to compete. During pre-judging/registration period, contestants will be presented a registration form to complete with their full name, shirt size, the category they wish to enter in, and the title/name of costume, etc. Groups/Duos only need to fill out one sheet with all their information. Pre-judging/registration will take place before the actual contest, so please be ON TIME so that the contest runs smoothly and on schedule. Each category will have its own set time frame (see schedule above). This will be a first-come-first-serve basis. If you are not on time for your category’s scheduled pre-judging, or that category is full, you will not be able to enter the contest. Judges will be examining your costume based on appropriateness and craftsmanship; you may be disqualified if your costume is deemed as irrelevant or inappropriate. Military uniforms, non-MLP related costumes, T-shirts of any kind, silly hats, horse masks, or any “cosplays” consisting of only Marketplace merchandise will not be considered as an eligible costume. No skits during the contest or on the catwalk. No profanity, political statements, hate speech, or religious statements of any kind are permitted on stage. This includes messages on signs or clothing. No flash-pots, smoke bombs, explosive devices, fog machines, or any similar special effects may be used on or back stage. Please be mindful to the other contestants by waiting your turn before going on stage until they have already exited. Always listen and follow instructions given by BronyCon staff members and security. If your costume is large or elaborate, BronyCon cannot be expected to provide assistance. You may bring on assistants of your own to help you on the catwalk; your costume will be judged separately from them. If you are a contestant who has special needs and you need assistance, please inform a staff member during pre-judging so that we may be able to assist you. The following are the cosplay costume categories. Contestants and their groups can only register themselves under ONE category. Multiple registrations are NOT permitted! Please review the following category summaries so that when you register the day of the con, you will be assigned to the appropriate category. *There is a maximum of 25 contestants per category. If a particular category is already full, you will not be able to register in it. Fillies and Colts This is a special category just for contestants who are under the age of 13. They can show off their wonderful costumes and creativity! Parents may walk on stage with their child but only their child’s costume will be judged. Pony Suiters A category designed for cosplayers who devote their work into creating some amazing life-size pony character suits and costumes. Please make sure that your suit has proper vision and mobility for walking on stage. The Mane 6 This category is for contestants dressed as either: Twilight Sparkle, Fluttershy, Rainbow Dash, Rarity, Pinkie Pie, or Apple Jack. This is NOT a group category and contestants must walk on stage individually. Villainous Villains A category for our more devious cosplayers dressed as some of the meanest, scariest, bad-to-the-bone, or misunderstood villains and rivals from My Little Pony. This category includes villain or rival characters from the show as well as previous MLP generation villain/rival characters. Best-In-Pony This category is for contestants dressed as some of the show’s favorite princesses (other than Twilight Sparkle), side-kicks, background characters, minor characters, past generation characters, or even as their own original character. Best Duo or Group Is a category for contestants who’d rather work with a partner or in a group. Each group must be between 2-7 people and cannot exceed this limit! If they are groups larger than 7, you may be asked to split up either individually or as two separate groups/duos. BronyCon Staff members and Cosplay Contest judges are not be permitted to enter the contest. Judging for contestants under the age of 13 will be more relaxed and flexible on certain rules, criteria, and regulations. However, they must be present for pre-judging/registration to be able to enter the contest. Each category will have a first place winner and a runner up. There will also be a special prize for the “Best Overall” costume. 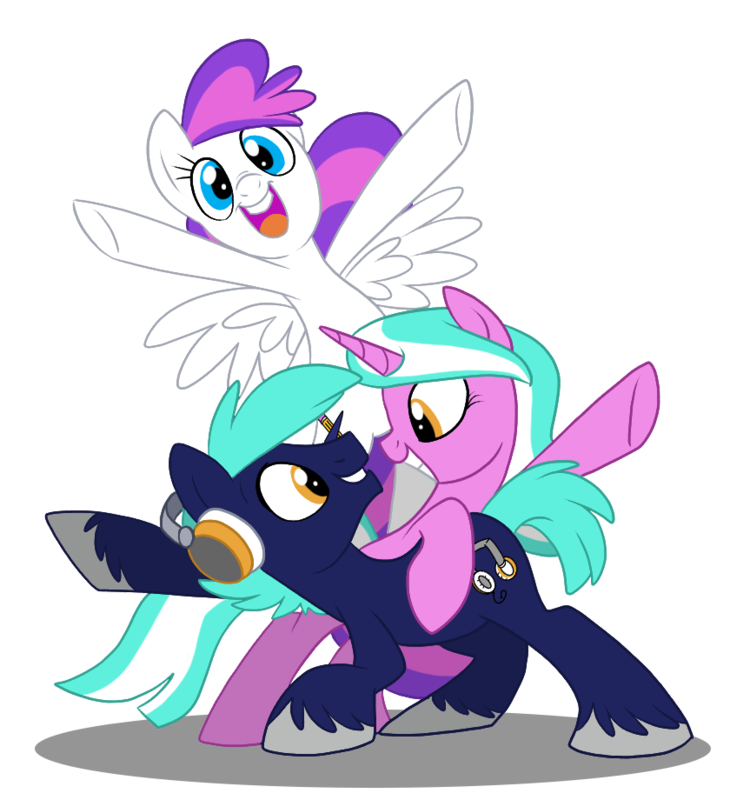 **By registering for the Cosplay Contest and reading these guidelines, you agree to have your costume and likeness posted on the official BronyCon website and social media. You also agree to follow the rules and regulations of the contest and convention center’s policies.